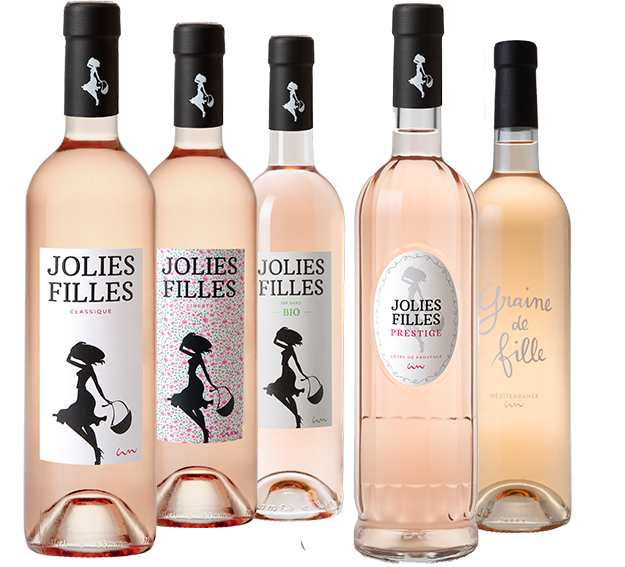 In the masculine world of wines Jolies Filles remind us that the ladies also have their place here. For several years now they have been selecting, buying and tasting with interest. What could be better than a rosé in their honour? Its robe, its freshness and its delicacy make it a "feminine" wine. Jolies Filles have arrived. Bright, pale pink colour. The nose presents yellow fruit (peaches, apricots) and passion fruit. On the palate, there is a hint of citrus peel on the finish. This wine has a generous, rounded character. Best consumed chilled, between 8° and 10°C. Paul Aegerter was inspired to create this bottle by the beautiful siphons used by pastry chefs, to which he added an elegant label. We are delighted to present this creation that will make a welcome addition to any summer table. A glittering, pale pink colour. The nose is floral and fruity. A pleasant balance between the freshness of white flowers and the sweetness of a punnet of berries. On the palate, this is a soft, silky rosé, with a pleasant hint of acidity on the finish. Best consumed chilled, between 8° and 10°C. As summer approaches, you will no doubt be wondering which rosé you will choose to accompany you in the sun. Our organic Rosé Jolies Filles will be perfect. A glittering, pale pink colour. The nose is floral and fruity. On the palate, delicious well-rounded, fresh, fruity flavours emerge. The fruit is perfectly preserved, with an overall impression of lightness. Very refreshing. Best consumed between 8° and 10°C. Graine de Fille, or all the sun of Provence in a bottle. The great grapes of Cinsault, Grenache and Syrah learnt to get on with the sea air of the Mediterranean. For each variety, we have sought out the best terroirs, the best subsoil, and the best exposure for the maturity of the grapes and the air flow to the vines. Graine de Fille is a fresh, elegant wine with notes of citrus and red fruit. It is a thirst-quenching wine, tenderly fruity and full of heady scents. In short, it is a feminine wine with a soft robe with a hint of rose petals. If une graine de fille means a growing girl in French, this is one Graine de Fille we have not heard the last of!